1stFlip FlipBook Creator for Mac v2.8.8 Released! 1stFlip FlipBook Creator for Mac v2.8.3 Released! 1stFlip FlipBook Creator for Mac v2.8.1 Released! 1stFlip FlipBook Creator for Mac v2.7.22 Released! 1stFlip FlipBook Creator for Mac v2.7.21 Released! 1stFlip Flipbook Creator for Mac v2.7.20 Released! 1stFlip Flipbook Creator for Mac v2.7.19 Released! 1stFlip Flipbook Creator for Mac v2.7.18 Released! 1stFlip Flipbook Creator for Mac v2.7.16 Released! 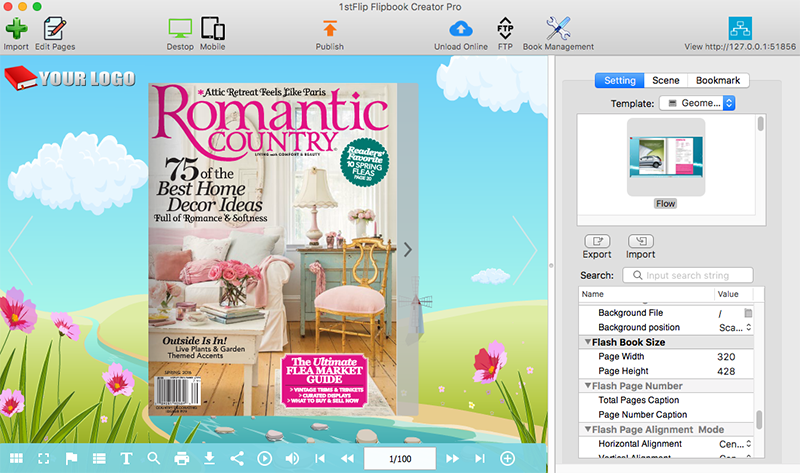 1stFlip Flipbook Creator for Mac v2.7.14 Released! 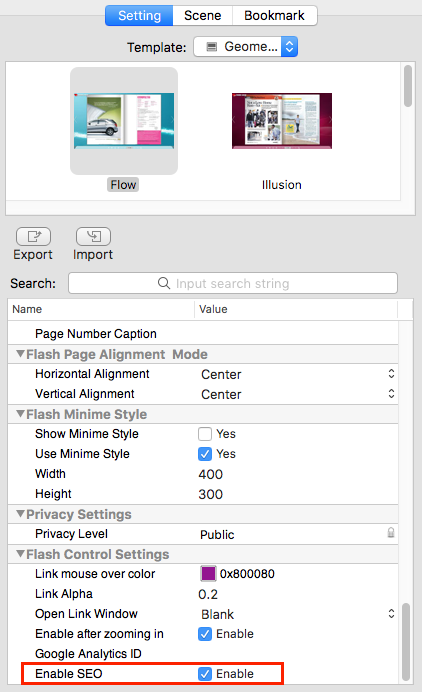 1stFlip Flipbook Creator for Mac v2.7.13 Released! 1stFlip Flipbook Creator for Mac v2.7.12 Released! 1stFlip Flipbook Creator for Mac v2.7.10 Released! 1stFlip Flipbook Creator for Mac v2.7.9 Released! 1stFlip FlipBook Creator for Mac v2.7.6 Released! 1stFlip FlipBook Creator for Mac v2.7.5 Released! 1stFlip FlipBook Creator for Mac v2.7.3 Released! 1stFlip FlipBook Creator for Mac v2.7.2 Released! 1stFlip FlipBook Creator for Mac v2.7.1 Released! 1stFlip FlipBook Creator for Mac v2.6.3 Released! Fixed the search error in fullscreen mode. 1stFlip FlipBook Creator for Mac v2.6.1 Released! 1stFlip FlipBook Creator for Mac v2.5.9 Released! 1stFlip FlipBook Creator for Mac v2.5.8 Released! 1stFlip FlipBook Creator for Mac v2.5.7 Released! 1stFlip FlipBook Creator for Mac v2.5.6 Released! 1stFlip FlipBook Creator for Mac v2.5.3 Released! 1stFlip FlipBook Creator for Mac v2.4.1 Released! Enable/disable any toolbar buttons: Social Share, Search, Bookmark, Select Text, FullScreen, Thumbnails, logo, sound, language, zoom and flip button. 1stFlip FlipBook Creator for Mac v2.2.3 Released! 1stFlip FlipBook Creator for Mac v2.2.1 Released! 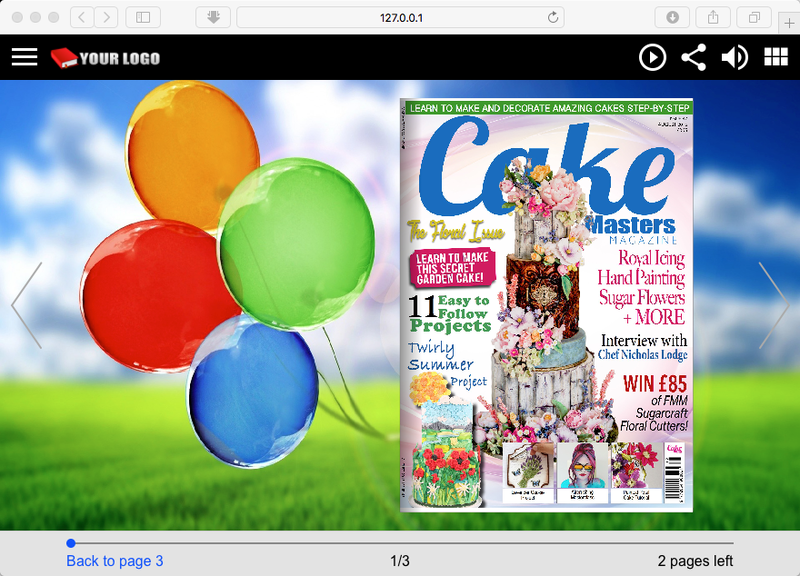 1stFlip FlipBook Creator for Mac v1.10.2 Released! 1stFlip FlipBook Creator for Mac v1.09.1 Released! 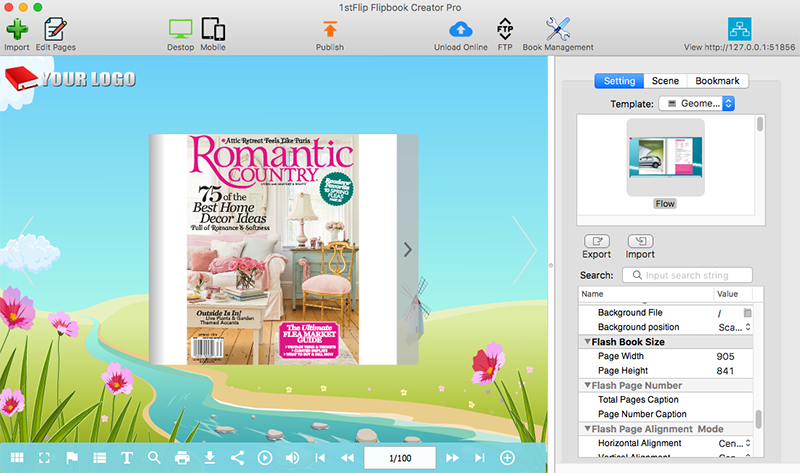 1stFlip FlipBook Creator for Mac v1.08.2 Released! 1stFlip FlipBook Creator for Mac v1.08.1 Released! 1stFlip FlipBook Creator for Mac v1.07.6 Released! 1stFlip FlipBook Creator for Mac v1.07.5 Released! 1stFlip FlipBook Creator for Mac v1.07.4 Released! Fixed the incompatibility with 32-bit Mac OS 10.6.x. 1stFlip FlipBook Creator for Mac v1.07.2 Released! Fixed the bug that sometimes flipbook is squished when view on mobile devices. 1stFlip FlipBook Creator for Mac v1.07.1 Released! Fix the occasional failure to detect wide pages. 1stFlip FlipBook Creator for Mac v1.07 Released! Support publishing WordPress plugin, Joomla module and Drupal module. Fix occasional crash during PDF import. 1stFlip FlipBook Creator for Mac v1.04 Released!